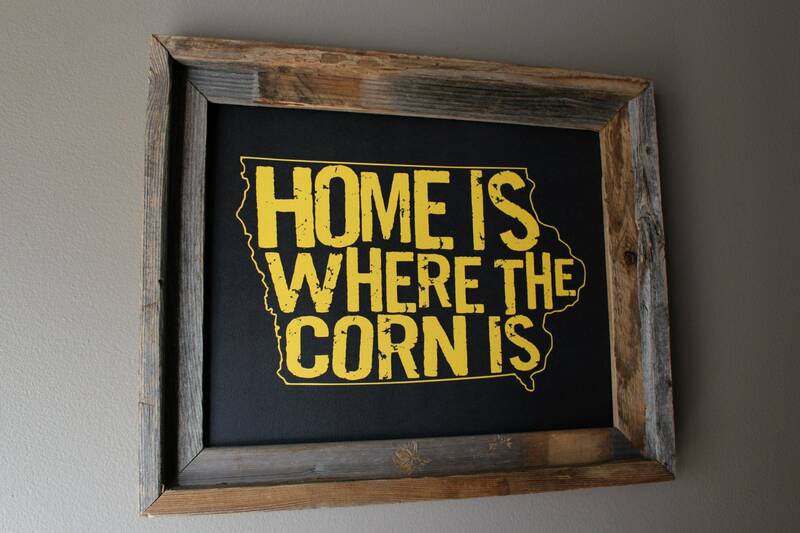 This 11x14 Black & Gold Home Is Where The Corn Is Iowa Map Print is a great way to tell the world how much you love Iowa and the wonderful plant that covers most of it! 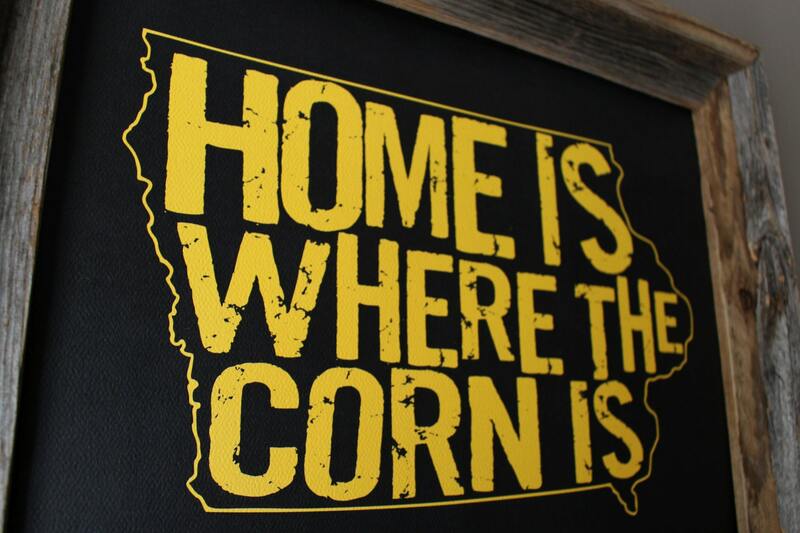 Even we can't look at this print without wishing we were at the Field of Dreams in Dyersville or cozied up at any of the million homey little farmhouses that dot the expanses of this great state! 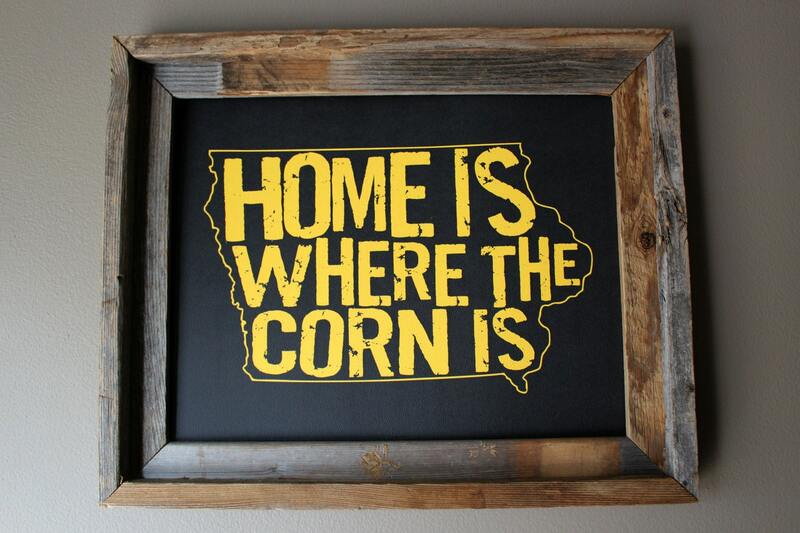 **This print does not include a frame or matte and is printed on sturdy, textured stock.